I laugh at them because they are all the same"
Small tender fresh bhindis/ bhend picked from grocery stores and I could not resist clicking these tiny beauties. 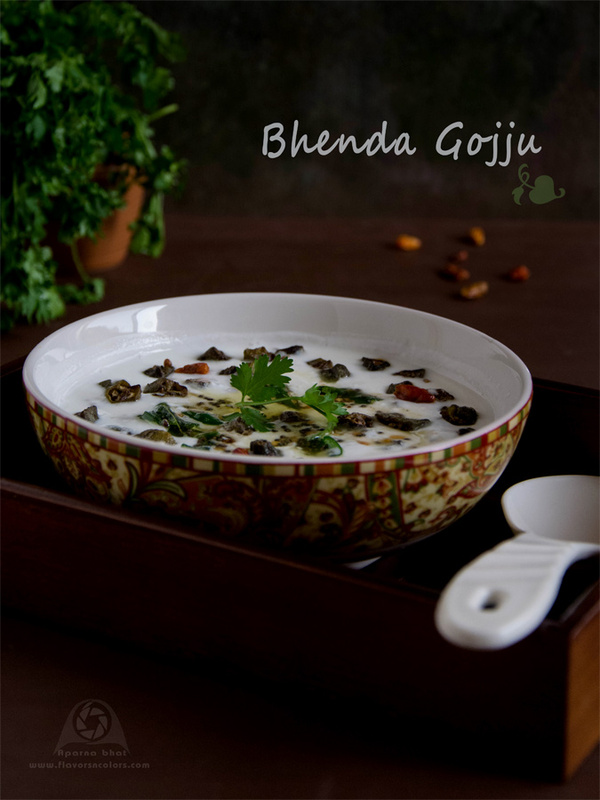 Today I am sharing here the recipe of Bhenda gojju. 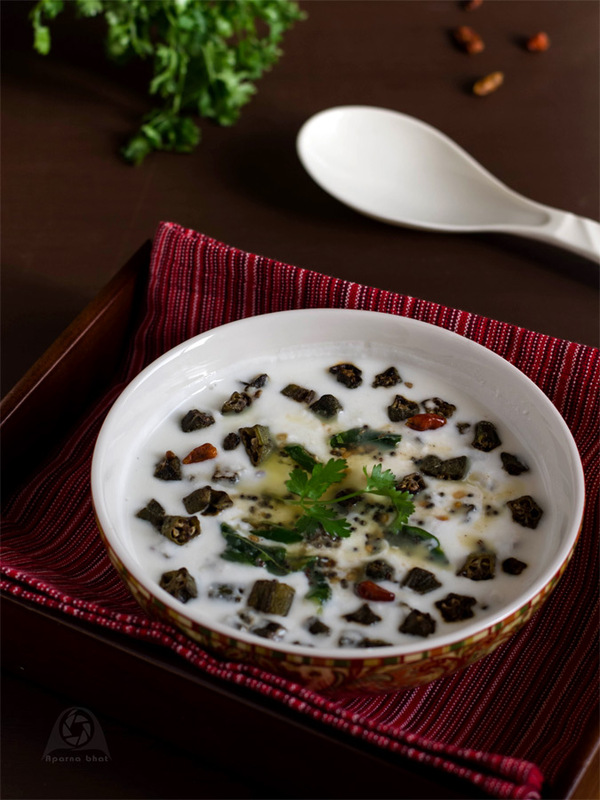 Gojju is yogurt based dish from Konkani cuisine served as an accompaniment with meals. Wash and pat dry bhendi. Chop it into small roundels. Heat ghee in pan, add chopped bhendis. Stir fry them till they become brown and crispy. [take care not to overfry the bhendis]. Add salt as they get done and switch off the gas flame. Take curd in bowl (if required add water to adjust the consistency, usually this dish is semi-thick), chopped green chillies and salt. Prepare seasoning with ingredients mentioned under seasoning. Pour it on the curd mixture. Once ready to serve, mix the fried bhendis to the above curd mixture. and serve it garnished with chopped coriander leaves. 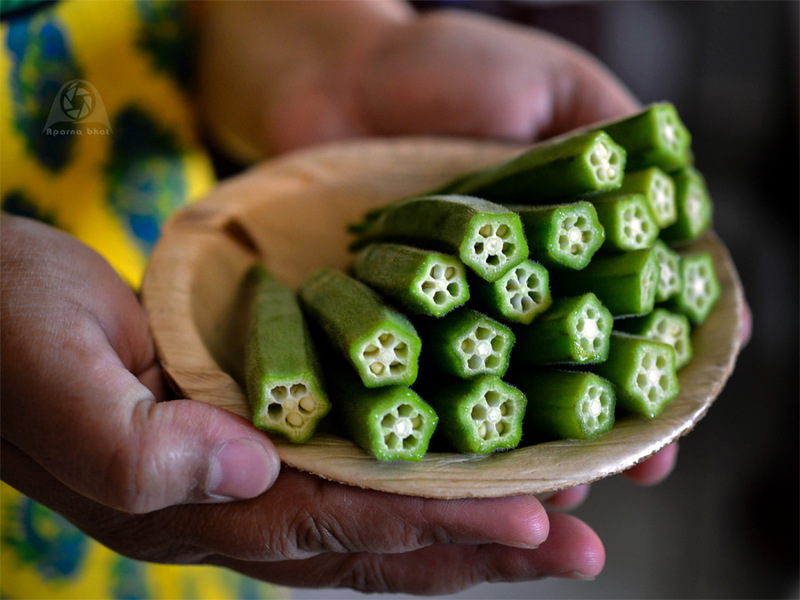 Tasty gojju is ready to be served as a side dish with rice.